NEW HOME WITH BUILDER'S 2-10 LIMITED WARRANTY! THE LAST RANCH HOME AVAILABLE AT QUEBEC HIGHLANDS! 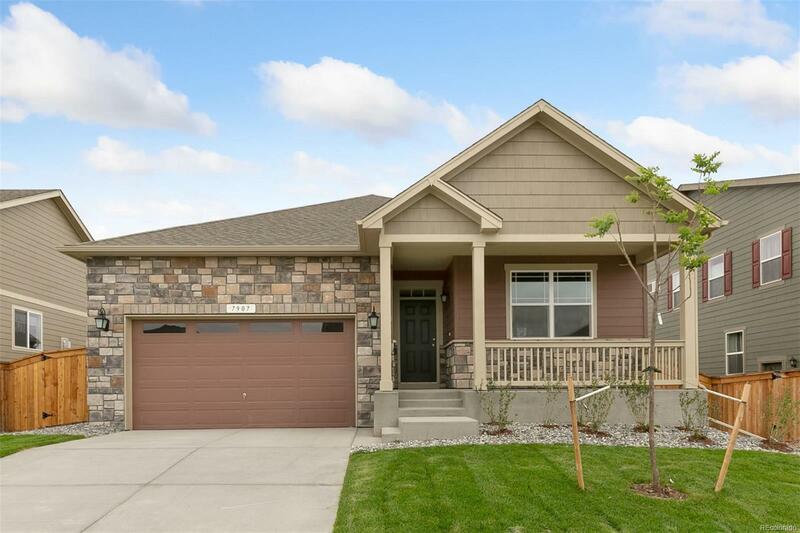 FEATURES GRANITE COUNTERTOPS, STAINLESS STEEL APPLIANCES AND EXTENDED HARDWOOD FLOORS. COMPLETE WITH A SPACIOUS MASTER BEDROOM AND AMPLE CLOSET SPACE. HOMEOWNERS WILL ENJOY FRONT AND BACK YARD LANDSCAPE WITH FENCING. DON'T MISS THE 14 ACRE QUEBEC HIGHLANDS PARK! COVERED PATIO GREAT FOR OUTDOOR ENTERTAINING. MUST SEE!! PHOTOS ARE REPRESENTATIVE OF THE FLOOR PLAN BUT NOT OF THE ACTUAL HOME.